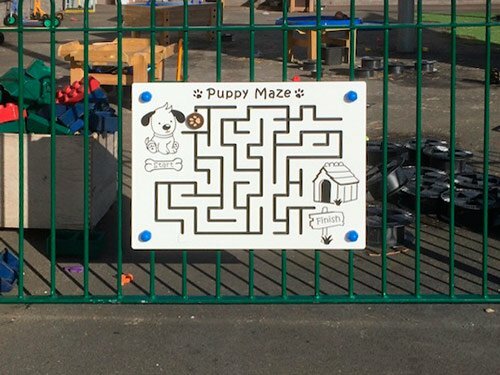 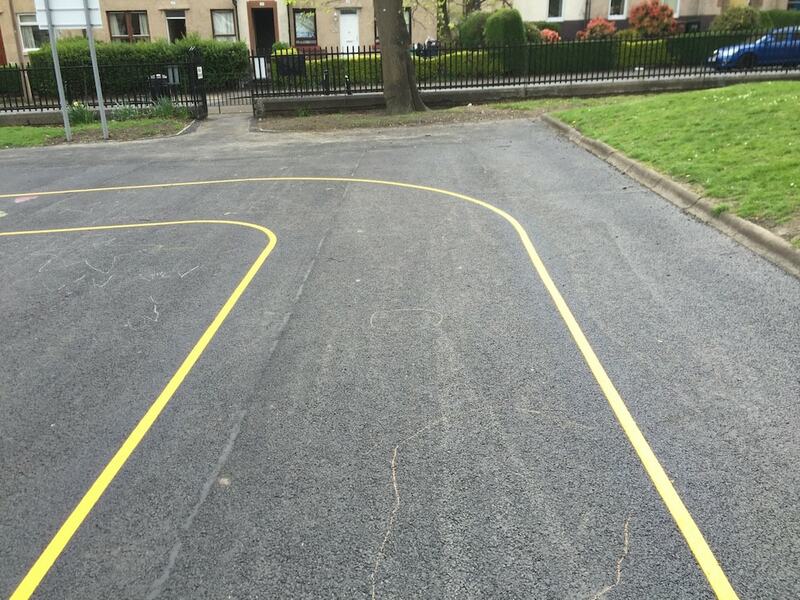 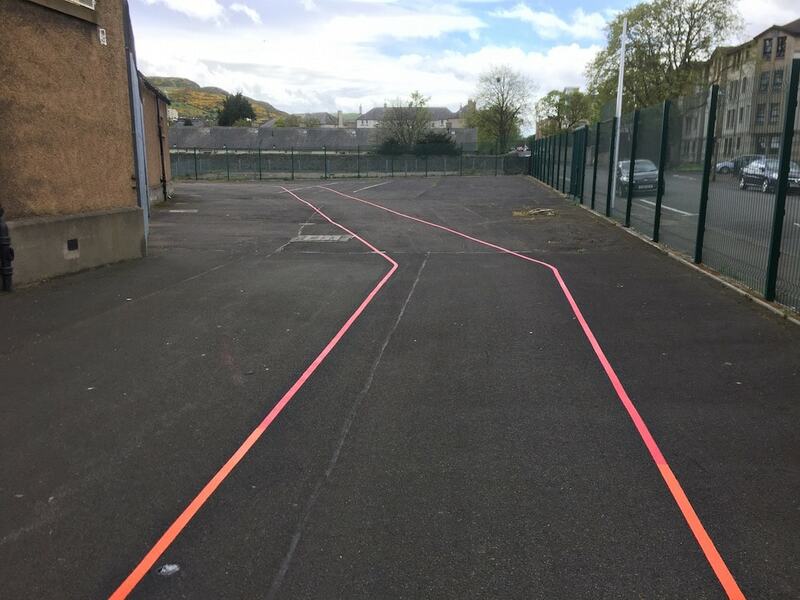 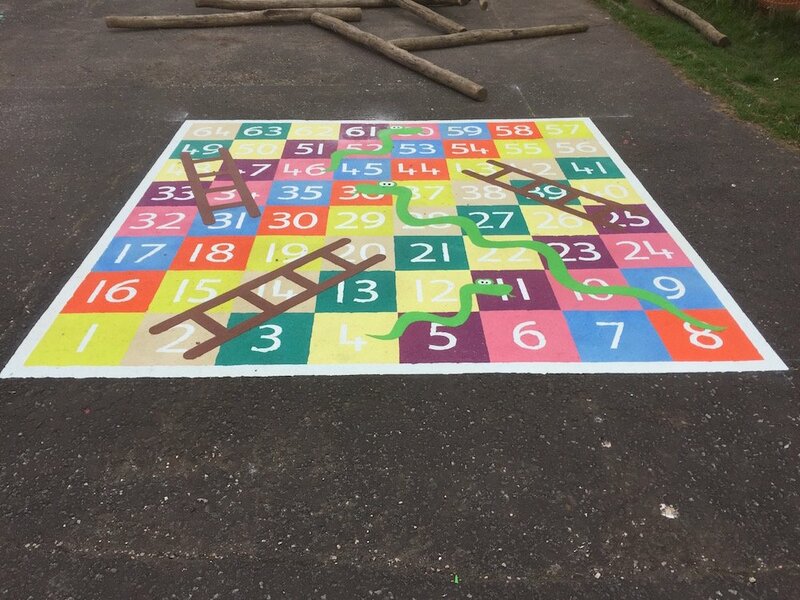 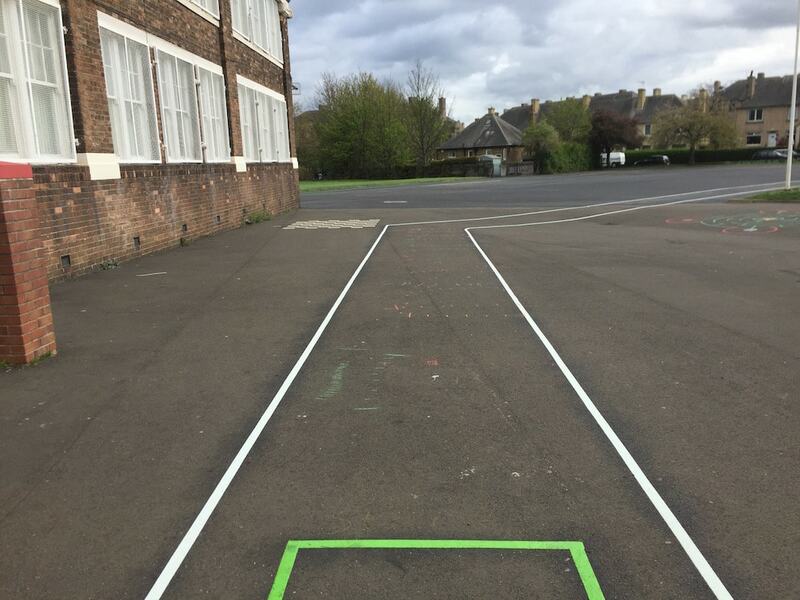 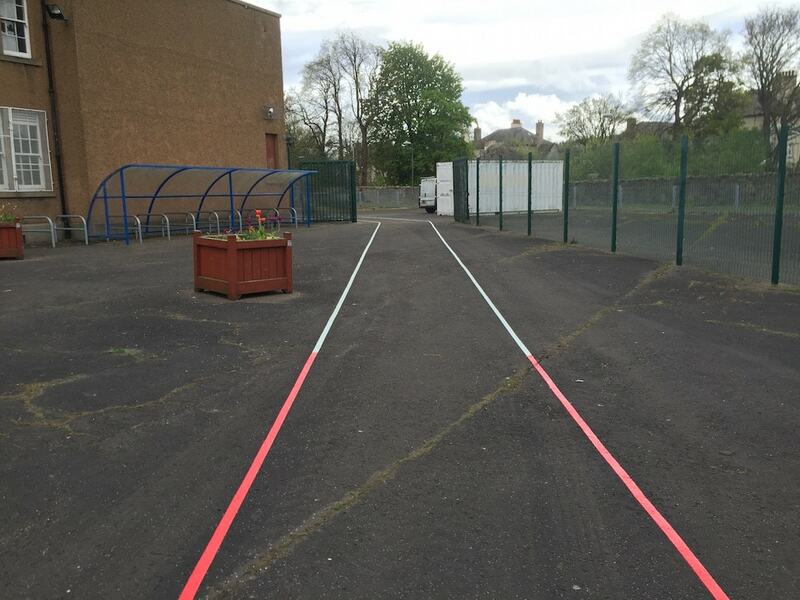 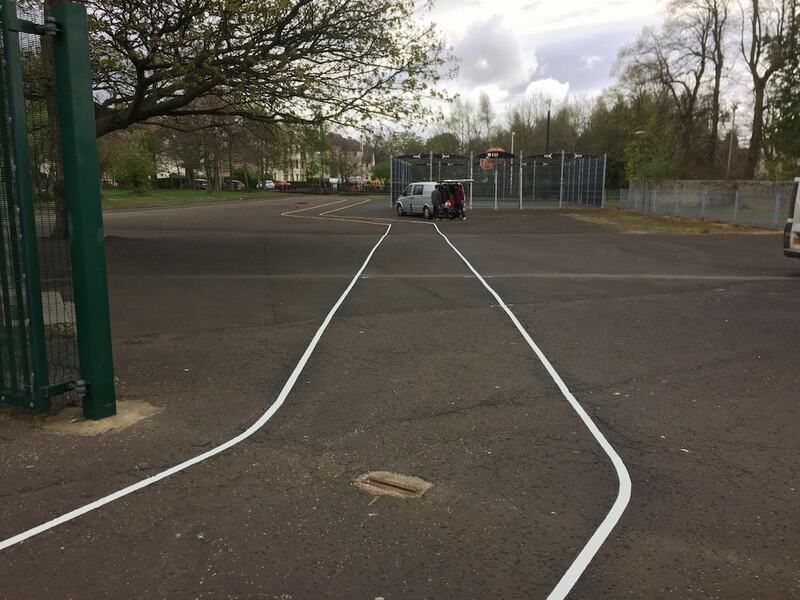 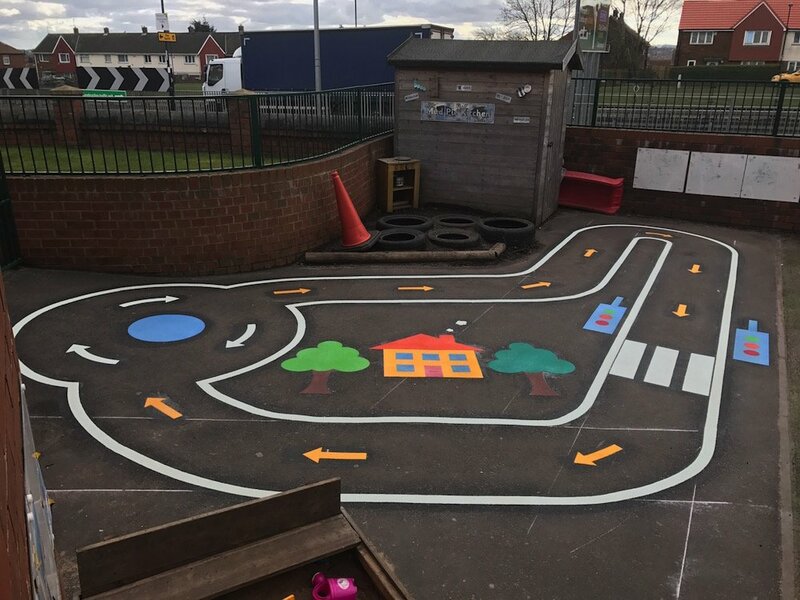 The first4playgrounds installation team traveled up to Edinburgh to install a 536 meter long 2 meter wide variation of a walk a mile playground marking track. 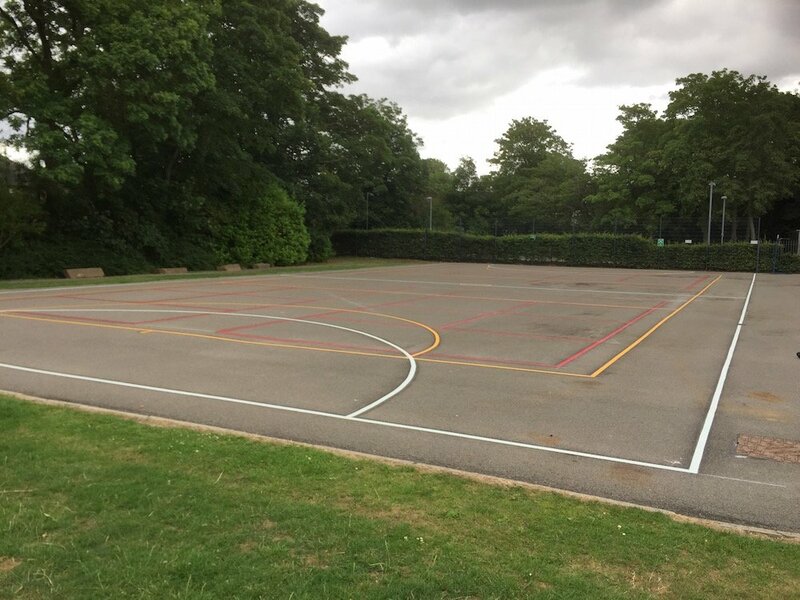 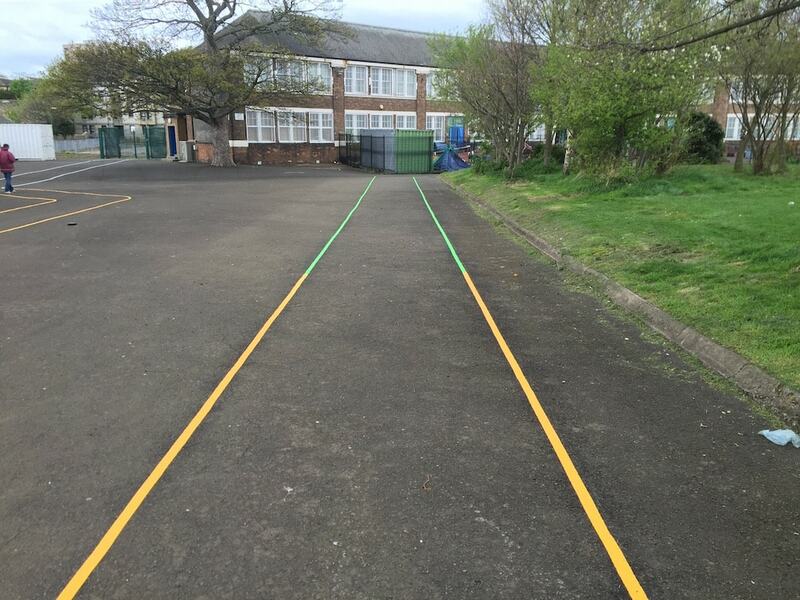 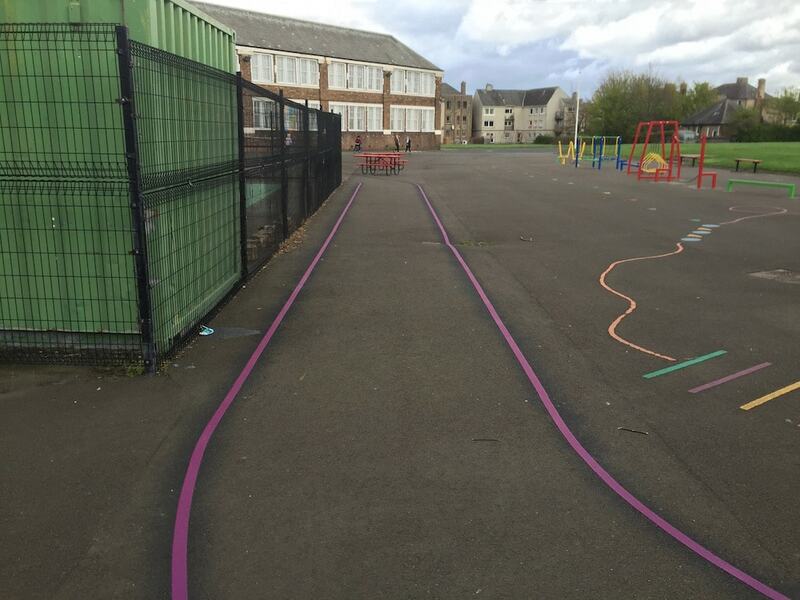 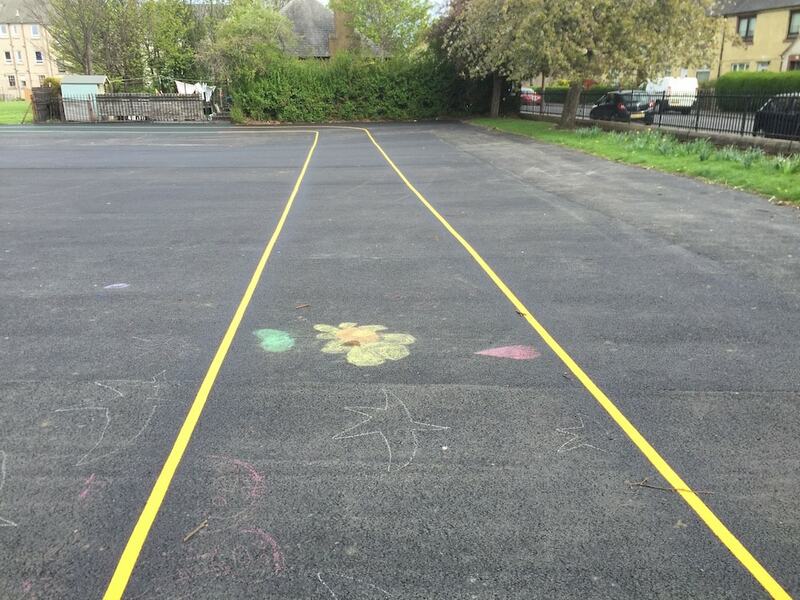 This track was split into 10 equal 53 meter different coloured sections around the perimeter of the school grounds. 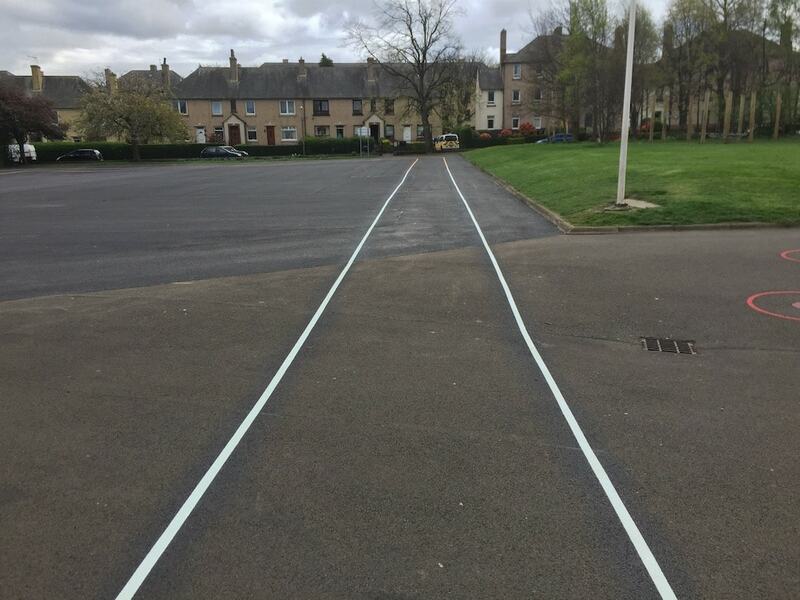 The track took two working days to install. 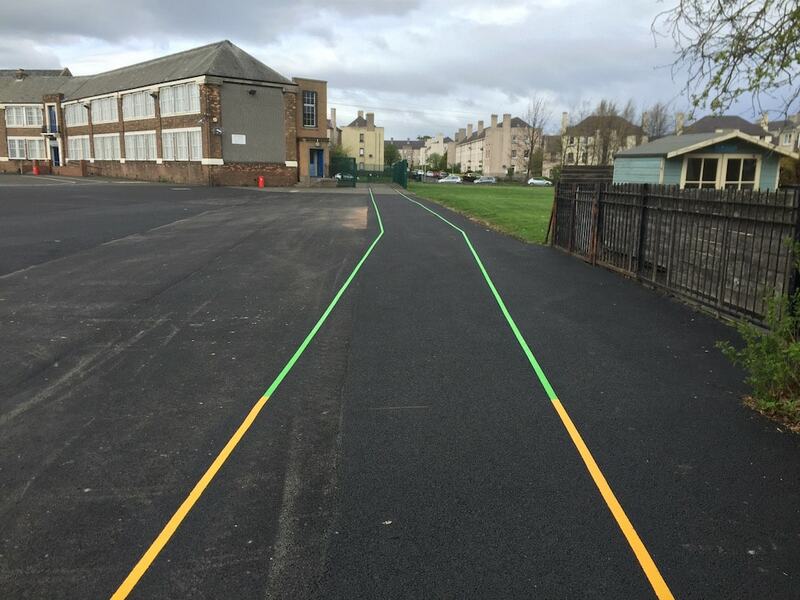 Other variations of the walk a mile track include our snake all a mile, of dashed lines in different colours and a singular solid line walk a mile. 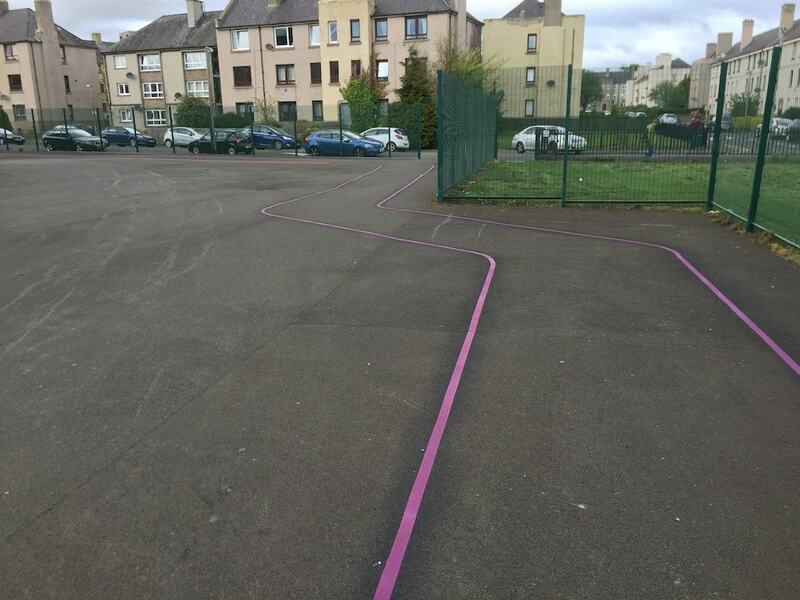 The teachers like to use the entire school grounds. 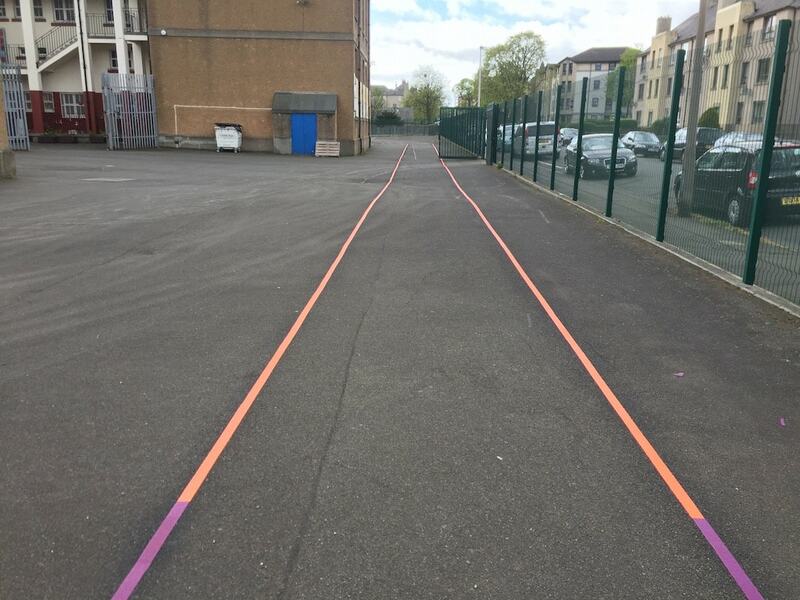 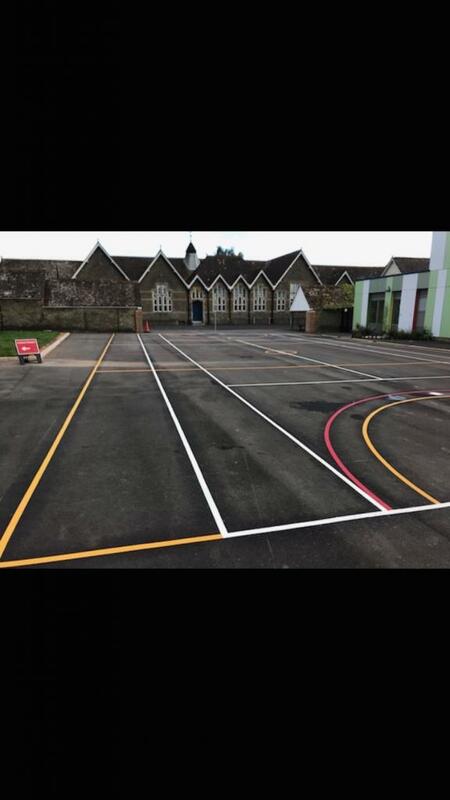 Therefore most walk a mile markings run around the perimeter of the school. 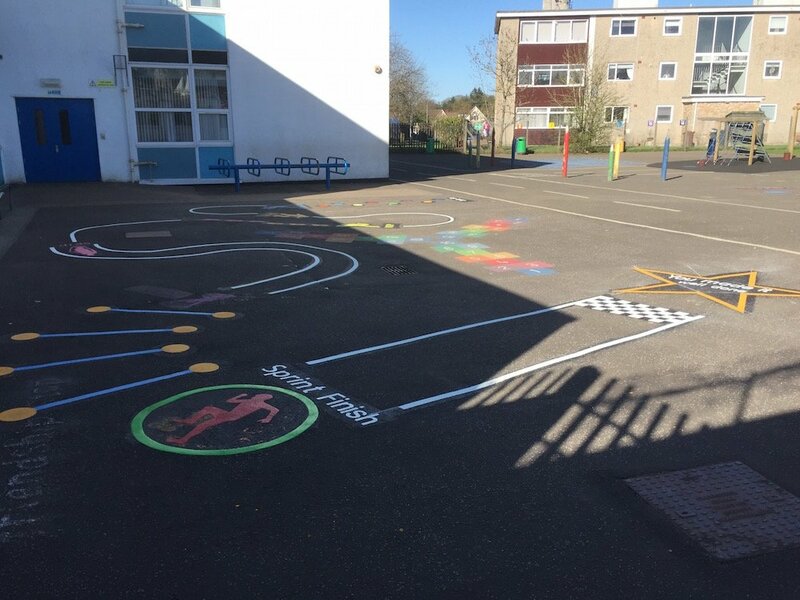 The walk a mile track was paid for by the PTA (Parent Teachers Association) and designed by the children. 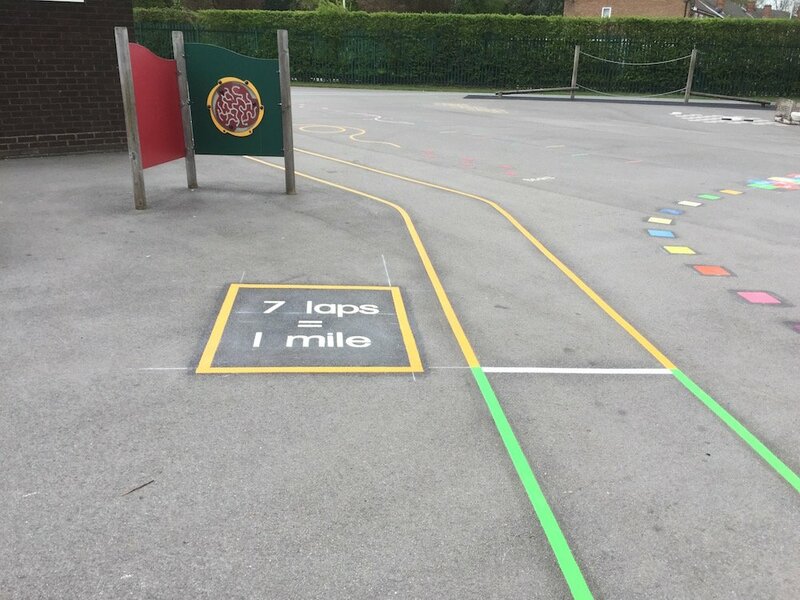 The three laps of the track amount to exactly a mile so the teachers can use the track for cross country and athletics. 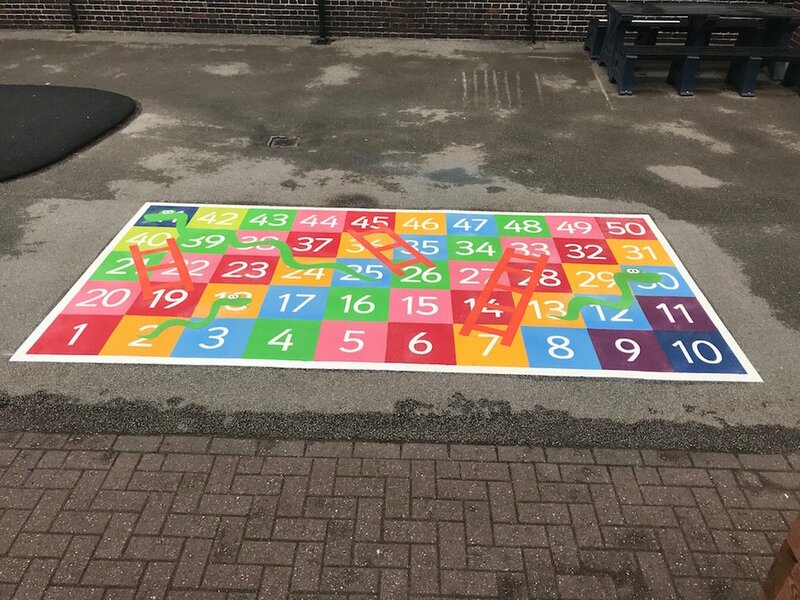 This is a great way for kids to stay fit and healthy.